Mosslands School recognised for excellence in Science teaching! They won the All About STEM, STEM Project of the Year at the Educate Awards 2017 and now Mosslands School have been awarded the prestigious Silver Science Mark Award, from STEM Learning! The Science Mark was created by STEM Learning to recognise and celebrate best practice in science departments across the UK. Schools and colleges receive the Science Mark when they can show that they are delivering inspiring lessons for students and demonstrate their department’s commitment to high-quality science education. 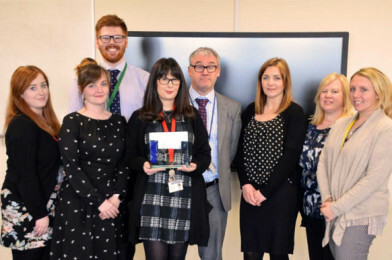 Head of Science Katie Weston said ‘We are thrilled to be recognised by STEM Learning and to be receiving this award, it underlines our efforts to fulfil the school goals of care, challenge and commitment from both staff and students. The award recognises the work that Mosslands School does within the community to promote Science education and celebrates the fact, that at Mosslands a higher than national average of pupils go on to successfully study STEM subjects post 16 and beyond. Congratulations Mosslands, we are so proud to work with you. You are truly dedicated to STEM!